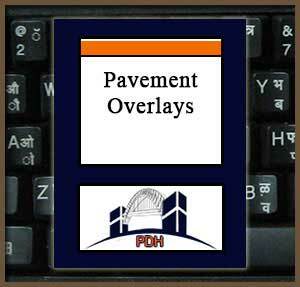 Learn how to apply overlays to flexible pavements. This course is intended for civil engineers and other design and construction professionals wanting to learn how to design and apply flexible and rigid overlays to existing flexible, composite and rigid pavements. This course will give civil engineers and other design and construction professionals an introduction to the types and application of pavement overlays for streets, roads, parking and open storage areas. This course provides introductory information about selection, application and design of plain and reinforced portland cement concrete and asphalt concrete pavement overlays. This course will give you professional tools that will help you to understand the technical and design issues in application of flexible and rigid pavement overlays.